MILWAUKEE -- Hal Leonard is proud to release an Artist Edition Real Book with one of the most groundbreaking and influential jazz artists of the modern generation: Pat Metheny. As the only person to win Grammy Awards in ten different categories, Metheny's talent is immense and his fan base is far-reaching. 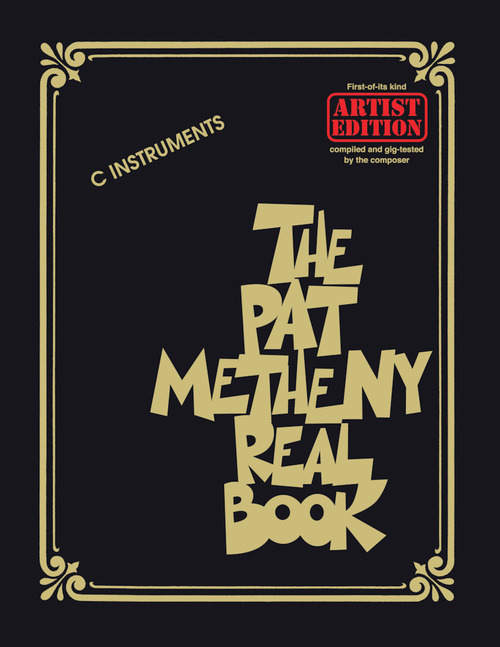 The Pat Metheny Real Book features 147 Metheny tunes arranged for all C instruments in the favored Real Book style. All songs were compiled and gig-tested by Metheny himself, a first in the historic Real Book series. The book also includes an extensive preface by Metheny. Titles include: April Joy * Better Days Ahead * Bright Size Life * Farmer's Trust * (Go) Get It * H & H * Have You Heard * Jaco * James * Lakes * Last Train Home * Midwestern Nights Dream * Phase Dance * Question & Answer * The Red One * So May It Secretly Begin * Sueno Con Mexico * Uniquity Road * Unity Village * Whittlin' * and more! The Real Book series now includes over 70 releases, from the iconic original volumes found in every gigging jazz artist's gig bag to dozens of recent releases specific to artists or musical genres. Unlike the original bootleg versions of the books, all of the Hal Leonard editions are legally licensed with royalties being paid to the composers who created these masterpieces.